Where did the idea for Beaver Suit come from? Just a twinkle in a little brain cell that came to fruition as all creatives will understand! More than his character, I hope to show what living in the moment is all about. 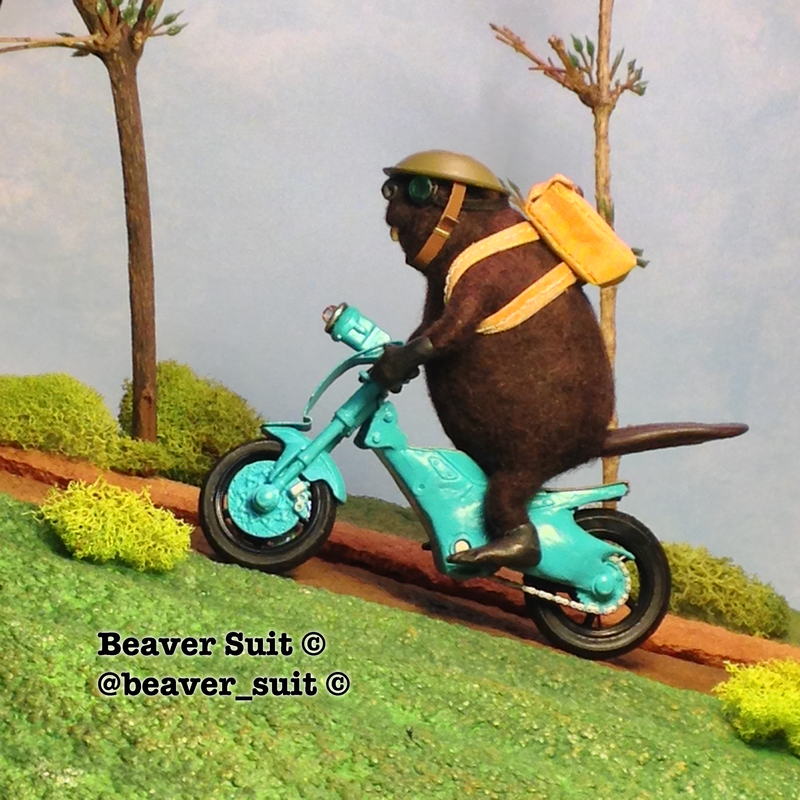 Beaver Suit does everyday things and enjoys them all. He is very Zen I suppose! What is also important to me is that he makes a smile happen, even for a very brief moment! How many Beaver Suit characters are there in total?